Nova Scotia is set on the peninsula that lies on Canada’s east coast and is set precisely half way between the equator and the North Pole. Nova Scotia is the Latin name for ‘New Scotland’ and is the recognised English name for the province, which is a throwback to the settlement’s British colonial roots when it was founded in 1749. Ever since its founding, Nova Scotia has developed into one of the most vibrant and fascinating corners of Canada, where visitors are embraced, welcomed and also free to explore this area’s natural beauty as well as learn about the fascinating history which will leave you inspired. The peninsula’s capital city of Halifax deserves to be visited while you’re in this part of the world. The historic Citadel, which is an 18th century fort built by the British and designed to protect the harbour from invaders in 1749, is more than worth a visit. The atmosphere of the city is also quite vibrant as it is filled with numerous hangout spots for visitors. You can sample one of the city’s agreeable pubs or sit in one of the sumptuous cafés. 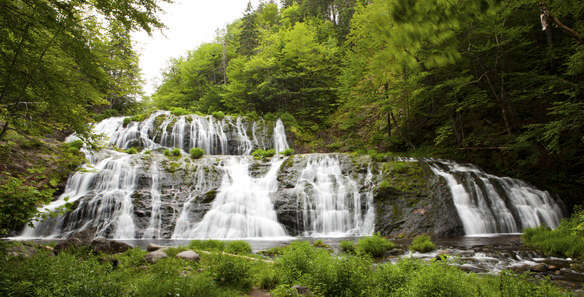 Alternatively, take a stroll along the city’s peaceful waterfront or wander one of Canada’s great trails such as the Cabot Trail or Cape Breton to experience Nova Scotia’s fantastic landscape first hand. Nova Scotia enables visitors to be at one with nature as if you head into the waters of the Bay of Fundy, you can likely catch sightings of the amazing marine wildlife that call the waters of Nova Scotia home. Whales, dolphins and seals are some of the amazing sights that you can catch a glimpse of during your visit. The region is also steeped in colonial history, as well as being stunningly beautiful with a welcoming and friendly population. This is a different side to Canada without a doubt, the provincial capital of Halifax along with the major Citadel museum is a major draw of the area. As well as enjoying the charming atmosphere, you can enjoy fine company and exquisite food too, as you can sampling fresh lobster in Yarmouth is extremely popular. There is something for everyone here and if you value history as well as adventure then Nova Scotia must be high up on your wishlist. Canada’s northeast peninsula is both strikingly beautiful as well as enchanting and it will serve to provide you with memories that will stay with you forever. If you would like to know more about Travelbag’s excellent tailor-made holidays to Nova Scotia, don’t hesitate to contact us on 0203 139 7074.